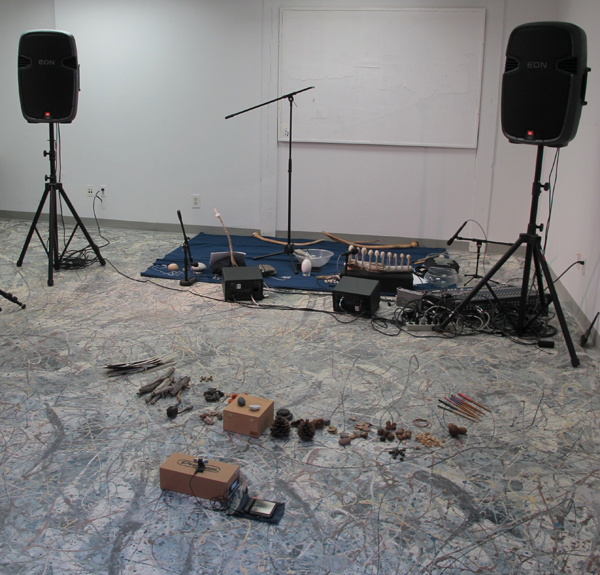 for a series of two performances from these well respected sound artists / musicians. while at the same time providing a contrast to the more electronic work presented at the gallery space. The contrasts and similarities between the two performers' approaches and philosophies hopefully provided the audience with much to consider. 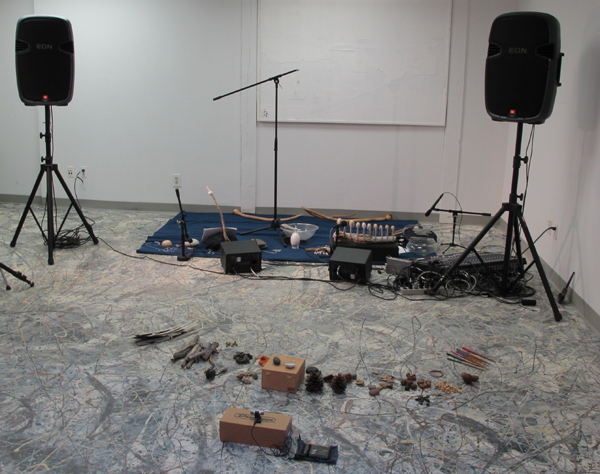 Both artists performed on two nights, April 23 on the Front Range Community College campus, and April 24 at the Fort Collins Museum of Art Community Studio. Each performance was followed by question and answer session between the audience and artists. Jeph Jerman has a history in improvised experimental music stretching back over thirty-five years, having worked in such notable bands as Big Joey, Blowhole and his solo project Hands To. His practice is primarily about "what happens when we listen", and his work towards this end frequently involves improvisations with found objects and installations of self-playing "systems" which could perhaps be described as sound sculpture or automatons. In his performances, he attempts to remove or lessen his control over his own actions, focussing attention on listening. 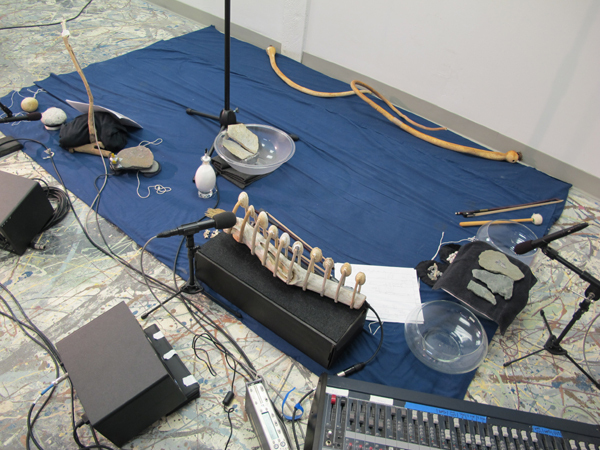 Cheryl Leonard is a composer, performer and instrument builder whose works investigate sounds, structures, and objects from the natural world. Leonard is fascinated by "subtle textures and intricacies in sounds not generally considered musical," and her experimental music reveals and features these unique voices. Her instruments recall the work of Harry Partch in the visual beauty of their form, reminding us that an instrument is a hybrid of sculpture and tool.